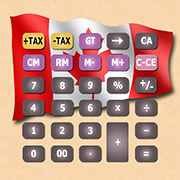 Managing Canadian payroll regulations can be as difficult, or as simple, as you want. Like most business leaders, you probably have a penchant, and preference, for getting things done yourself. You like the hands-on approach, and don’t delegate tasks unless you have to. On the other hand, when it is time to delegate, you choose the best person for the job, and let them do the job you chose them for. If you’re trying to navigate Canadian payroll regulations, then you have the same two basic options. You can try the hands-on approach, and focus all of your time and efforts on learning a completely foreign system from the ground up, or you can delegate the task to somebody who already knows the Canadian payroll regulations. The route you choose will largely depend on how much money and effort you are willing to invest, and how quickly you need results. Before you start hiring and paying Canadian employees, there are quite a few steps you have to take. 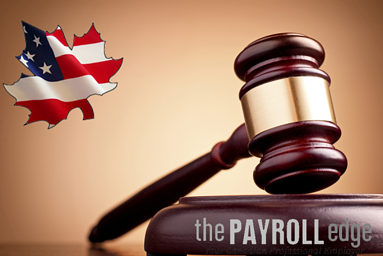 U.S. and Canadian payroll regulations are entirely different creatures. 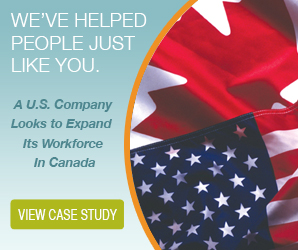 Your existing system for managing and paying employees simply won’t work with Canadian employees. You’ll need new software, new filing systems, and new (or completely retrained) staff before you get started. This will all be in addition to your existing payroll system and personnel. Once you have a second payroll system up and running, you can move on to step two—setting up a business presence inside of Canada. This can be challenging in itself as registration procedures are different from province to province and have different rules depending on the type of registration you would like. At this point, you need to set up all of your government taxation accounts, register with worker’s compensation and arrange banking and insurance infrastructure. Now you’re ready to hire your first employee. You’ll have to verify their identity, establish their right to work, ensure that they’re properly classified, and provide any required training. If you’ve completed all of these steps without making a single error, your new employee is ready to start their first day at work. At this point, you’ve expended a ton of money and energy just getting your first employee on board. If you made any mistakes, the amount of time and money spent probably increased exponentially. If you make any mistakes in the future, there will be more expenses to deal with. The ability, and willingness, to delegate is a powerful business skill. Too many business leaders stray far outside of their zone of expertise and end up needing help to find their way back. Delegating difficult or time-consuming tasks to a more experienced professional is the better business decision. When it comes to managing Canadian payroll regulations, delegating the tasks to a Canadian-based Employer of Record (EOR) minimizes effort, expense, and risk. Some Canadian payroll service providers (like The Payroll Edge) are already set up to act as full-service employers for Canadian workers by providing EOR services. They have established all of the necessary accounts and infrastructure, and cleared all of the administrative hurdles. All that is required to put them to work for you is a telephone call. Instead of spending months, and a small fortune, establishing a Canadian presence, you could spend a few minutes on the phone and be up and running in hours or days. Canadian payroll regulations are complex, cumbersome, and unforgiving. Navigating them can be difficult and time consuming for businesses on both sides of the Canada-US border. The time, effort, and money required to maintain compliance can all go to waste if a single error is made. Using a Canadian payroll service provider is an inexpensive, hassle-free way to avoid those errors. 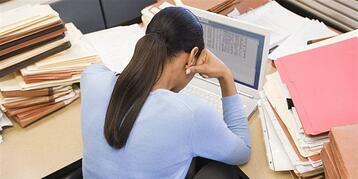 Unlike an in-house payroll department, payroll isn’t a part-time job for a Canadian payroll service provider. They handle payroll requirements for a wide variety of clients every day of the week. This constant training and experience gives them the expertise they need to navigate the complicated and ever-changing payroll requirements. Whether you’re a Canadian business looking to simplify your payroll needs, or a US-based business considering an expansion into Canadian markets, a Canadian payroll service provider can help you maintain compliance. A lot of time and effort goes into learning how to deal with Canadian payroll regulations. The initial training and education is just the tip of the iceberg. There are also conferences to attend, continuing education to pursue, and new regulations to learn about. Handling complex payroll regulations also requires the latest software. That software is expensive to purchase, set up, and maintain, and also requires initial and continuing training. Handling all of this in-house requires a large initial investment, along with considerable recurring costs. A Canadian payroll service provider will already have educational systems in place, along with all of the necessary software. It’s their job to have the best tools and knowledge to handle payroll regulations. For any other company, these are additional expenses—for a Canadian payroll service provider, these are just the basic costs of running their business. Since they manage payroll for a large number of clients, these costs are spread out over a large customer base. That way, none of their clients have to absorb these expenses alone. For Canadian businesses, a Canadian payroll service provider can help ease administrative costs and burdens. They can manage payroll for multiple jobsites, employee classifications, and even independent contractors. Their in-depth knowledge of payroll regulations makes it easy for them to navigate even the murkiest legal waters. With their help, businesses can maintain compliance with payroll regulations, health and safety policies, and other workplace requirements. This eases the burden on in-house administrators, allowing them to focus on tasks that are more directly related to the success of the business. For US businesses that are considering a move into Canadian markets, a payroll service provider can help with much more than just payroll. They can help establish a legal presence in Canada, as well as set up the necessary infrastructure for banking, insurance, and government compliance. All of these things are necessary to legally do business in Canada, and they can be difficult and time-consuming to try and set up on your own. A Canadian payroll service provider can help you get your Canadian expansion up and running faster and with fewer legal hurdles. Going it alone is always an option, but not always a good one. Around 2,500 years ago, Heraclitus taught that “the only thing that is constant, is change.” In hindsight, it seems that he was predicting the existence of Canadian payroll regulations. 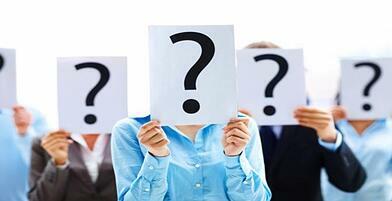 Every year, if not more often, these payroll regulations undergo wholesale changes. New payroll regulations are added, old ones are removed, and many that are left get modified. When the dust settles, it’s up to you to figure out how the new set of payroll regulations affects your business. Unfortunately, the CRA expects a steep learning curve. Mistakes can start costing a business fines and penalties from the first day the new payroll regulations are in effect. With a lot to learn and relearn, and no room for error, keeping up with changes to the regulations can be a full-time job. Even without all of the changes, keeping up with payroll regulations isn’t easy. Aside from the CRA, there are provincial agencies that require their own remittances and paperwork. There are worker-classification issues, insurance payments, overtime calculations, and holiday pay to consider. Different workers will all have different rates and requirements, forcing the payroll manager to track each employee separately. Time reporting must be verified weekly to avoid any under or over payments. In the event of any errors, corrections must be submitted to the relevant agencies, and new cheques must be issued. And all of this is standard, day-to-day payroll management. There are complexities that can make all of this look simple by comparison. Payroll regulations are complex, and interwoven. Some regulations that appear to stand alone can have a significant impact on other regulations. Worse yet, any impact may entirely depend on the situation at hand. A worker’s classification may change from one jobsite to the next—or it may not, depending on their role at the other jobsite. Reporting requirements can change from one job position to the next. Even pay rates for holidays or overtime can change, depending entirely on which regulations apply to a particular situation. The same worker may have to be tracked using multiple systems if they work at different sites or in different roles. Knowing how and when these regulations affect each other takes a lot of expertise. Getting, and maintaining, that level of expertise requires constant training and practice. Keeping up to date with changing payroll regulations requires a serious commitment of time and money. Payroll managers have to be trained, take classes, and attend seminars and conferences. Giving them the best tools requires purchasing expensive software, which also requires training to use. Even when they’re fully trained and have the right software, there’s no guarantee that they’ll be getting the experience to handle complex issues. The vast majority of their duties will be day-to-day payroll management. On the rare occasions when difficult regulations come into play, they may not have the expertise to recognize them. A payroll service provider deals with changing payroll regulations every day. They may even be involved in helping to craft those changes. They have a level of expertise that can only be gained by constant training and immersion in payroll issues. They use state of the art software to help them accurately and efficiently meet your payroll needs. The cost of all the software and training is distributed among dozens, or hundreds, of clients—so you have no large, up-front expenses. Payroll service providers are frequently in contact with inspectors and auditors, so they know what red flags are triggering issues. To keep up with changing regulations, you need a full time payroll service provider.